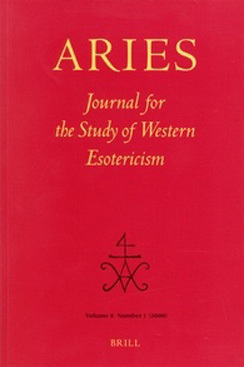 Any links to resources that might be relevant to the study of Western esotericism. Documents on Christian Esotericism Zoccatelli, P.L. Don Karr's Bibliographic Surveys of Jewish and Christian Kabbalah von Stuckrad, K.
El hermetismo en la red Elvira, I. E.
Esoteric Coffeehouse Hedesan, Georgiana D.
Exhibitions: Concerning the Spiritual in Photography Hanegraaff, W.J. Hermetic Net. La Revelación de Hermes Trimegisto (in Spanish and Catalan languages Elvira, I. E.
Imagining Outer Space, 1900-2000: An International Conference (Feb. 2006 Geppert, Alexander C.T. 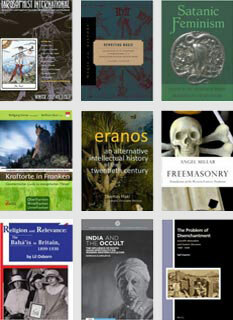 OVN News (newsletter on academic study of freemasonry Kroon, A.A.
OVN Nieuws (academische studie vrijmetselarij Kroon, A.A.
Studia Hermetica Journal Elvira, I. E.
Studia Hermetica: website dedicated to Hermetism and related currents Elvira, I. E.